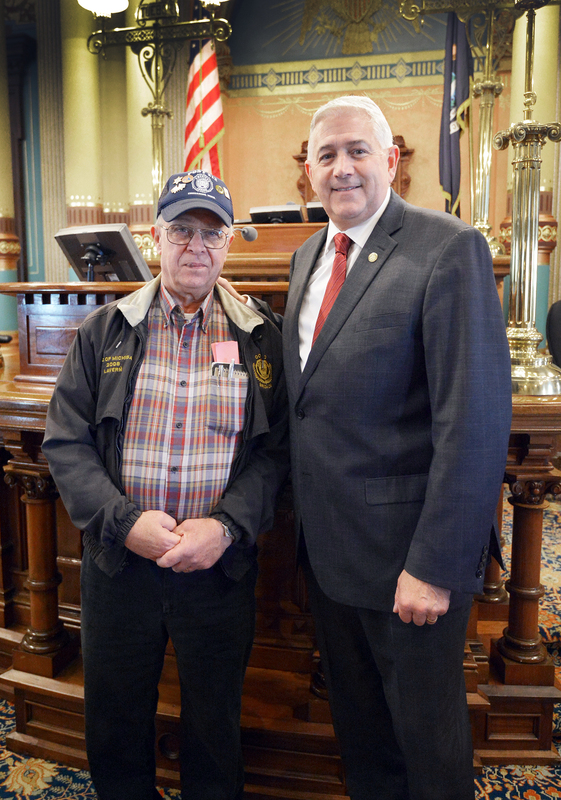 LANSING, Mich. — State Sen. Ken Horn, R-Frankenmuth, welcomed veteran Lavern Spolarich to the Capitol Thursday. Spolarich is a former commander of the American Legion Post 212 out of Chesaning and also the 8th District Judge Advocate for the American Legion Department of Michigan. Spolarich was Horn’s guest at an event honoring veterans of the Vietnam War era on the Capitol lawn. Members of the American Legion Post 229 from Blumfield Township in Saginaw County also attended.